Warning – this is a work in progress — check back until this warning is removed. For questions, send to contact us. Anyone using this, please report your success, issues or questions, so we know there has been more field testing. Notes about how to move a web site from Joomla to WordPress. The j2wp tool kit about be found here. It should be expanded in the directory below the WP main directory. We found premium version was worth the cost as we had a number of sites to move. You have to review the details as to the differences. All these steps requires the wordpress web site have access to the joomla databases and files. Being on the same server makes it easiest. These depend on the components in your joomla site and how you want move them to the new wordpress site. We found changing the url of the 2 sites during the work makes the process easier. Initially the WP site becomes wp.YOURSITE.TLD and once the wp site is mostly done, the joomla site becomes j.YOURSITE.TLD for all the details you forgot. Our approach has been to use the existing Joomla custom fields (from component or CCK) to create custom fields in WP or use PODS to create custom applications. Since these following scripts all need access to the Joomla database, the easiest approach is to copy the joomla configuration.php into the j2wp directory. copies sobi entries into eList entries. It will list missing fields in the output. This creates a pods named sdoc and sdoc_cat, with related templates. A representative from TNR Global will be attending the Western Mass Service Provider Meetup at the Western Mass Business Expo at the Mass Mutual Center in Springfield, MA on Thursday, Oct 11th, 2012. Please contact us if you’d like to set up a time to chat with us about your search/query, web development or cloud computing needs for your business. We are available after the Meetup at 12PM until that afternoon. We will also have literature available at the Meetup. We’re looking forward to discussing how the right search solution can save your company money and make your website more responsive to users. We are pleased to be in attendance at the Enterprise Search Summit in Washington, DC October 17-19th, 2012 talking to colleagues and discussing search technology in a changing environment. To follow the discussion, follow us on Twitter @TNRGlobal. TNR Global developers will be in attendance at the Strangeloop Conference held at the Peabody Opera House in St. Louis, MO September 23 through 25th, 2012. 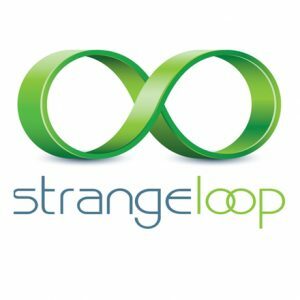 Strange Loop is a multi-disciplinary conference that aims to bring together the developers and thinkers building tomorrow’s technology in fields such as emerging languages, alternative databases, concurrency, distributed systems, mobile development, and the web. The conference has a heavy focus on tech and not process. The conference is so popular it has sold out.